Consider our aerospace engineering programme if you’re fascinated by the design, construction and operation of aircraft and spacecraft. You’ll build a solid foundation in materials, mechanics and design, and learn tools and techniques for solving complex engineering problems in a systematic way. You’ll also learn about thermodynamics, instrumentation and controls. Specialised aerospace modules cover aerodynamics, stability and control, propulsion and structures and design. 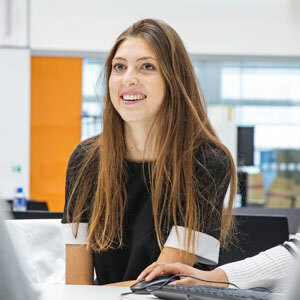 In your final year you’ll undertake an individual lab-based project linked to the current internationally recognised research taking place in the School, applying the theory you’ve learnt in the first two years of study. Students choosing the MEng option spend an additional year carrying out advanced modules and a group project. Recent projects have included designing and constructing a rocket capable of breaking the UK altitude record, and designing a solar-powered racing car. This programme is accredited by the Royal Aeronautical Society (RAeS) and the Institution of Mechanical Engineers (IMechE). Last year I had the opportunity to do a 12 month placement at Airbus UK. I realised that what I was learning at university was not just to do an exam, I used at least something I had learnt at Queen Mary every day at work. I can confidently say that a Queen Mary degree in Aerospace Engineering prepares you well for a career in industry.